Heinbach-Larkin Dental always appreciates feedback from our valued patients. To date, we’re thrilled to have collected 47 reviews with an average rating of 4.94 out of 5 stars. 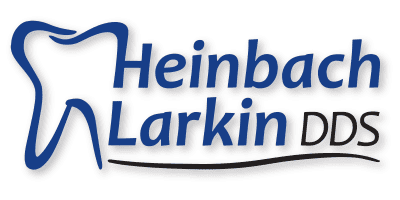 Please read what others are saying about Heinbach-Larkin Dental below, and as always, we would love to collect your feedback. My experiences have all been good. Everyone is always friendly and I receive wonderful care. Always a great experience. Thank you! This outfit is consistently wonderful, versatile, and very professional. Replacement of a missing front tooth was amazingly effective without doing an implant or wearable device. Highly recommended!! Very friendly. Top professionalism. Explains procedure, scheduling. No surprises. No problems. Very relaxed, fun, and easy. But my husband’s experience so far has been very very rough. I am not sure who has been seeing him. A valued professional. On my very first visit, he and his staff treated me as an old friend rather than just another patient. You do not get that kind of treatment but I did and so will you. He and his staff work with you on every facet of dental hygiene and procedures. Step by step taking the time to explain everything and will make every attempt to save you time and money. Dr. Heinbach is not only my dentist, he is my friend. Staff is courteous and caring. The best dentist I've have ever had. He is the kindest, friendliest and the most informative dentist you could have. I feel so comfortable with his work. Great great dentist. Dr. Larkin is awesome. So caring with my children. Heinbach (primary care), Larkin and All the Staff Members - Made Best in Lawrence!!! !...need I say more. Professional and friendly staff who perform thorough exams. Many Thanks! Great staff and dentist for the whole family! Excellent care in all ways! Everyone is friendly, professional and knowledgeable. Dr. Grant Larkin is great! He’s very personable and extremely thorough. I’m always glad to see him. 5 stars!! I have always had professional, friendly service from this practice. I have been a patient for 20 plus years and have recommended the practice to many. Very friendly, very professional, great and comfortable experience.